Welcome to the new ASI Alpaco: Where innovation, speed and reliability provide peace of mind. Sophisticated, elegant, designer-friendly, durable—all these words have been used around the world to describe Alpaco Cubicles and Lockers for a generation. In 1978, two entrepreneurs, Alain and Paul, founded a washroom cubicle manufacturing company, known as Alpaco, to fill a critical niche for architects and building owners. They knew that other mass market manufacturers could not deliver the flexible approach needed for more refined projects, and so they built a loyal following among designers. In 1997, the company moved to a larger facility to increase their manufacturing capacity; by then they had added lockers to their offerings. By 2005 they bought their own facility in Antwerp so they could take on larger projects in surrounding countries including France and Luxembourg. They developed a reputation for taking on difficult projects that their competitors would not attempt because of the need for customization. The company’s solution-driven philosophy has served their customers well. In 2014, the ASI Group, a US-based international company, purchased the company to form the new ASI Alpaco. The team that built the company still manages the operations and maintains the same dedication to service and solutions as they did in 1978. With the backing of a large company, ASI Alpaco has thrived; it has added manufacturing and warehousing capacity to take on projects all across Europe, the Middle East, Africa and even the United States. When iconic architect Zaha Hadid sought washroom cubicles sophisticated enough to stand up to the lofty design standards of the Pot House in Antwerp, she turned to ASI Alpaco. For the Residence Palace, headquarters of the European Council and Council of Ministers, the architects at Phillippe Samyn and Partners were tasked with creating a harmonious environment for heads of state and international dignitaries. They chose the team at ASI Alpaco to suit those discerning needs. 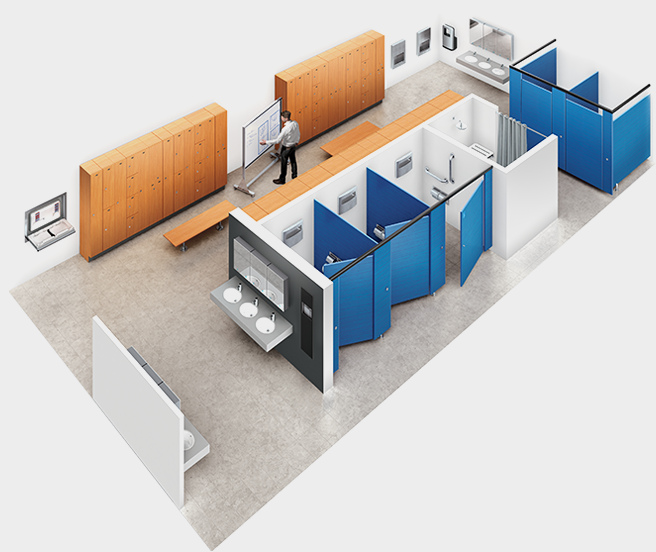 Welcome to ASI Group- the world's leading manufacturer of commercial cubicles, washroom accessories and lockers. So what make ASI Group so unique? Only ASI Group designs, engineers and manufactures fully-integrated solutions. So all of our products work together seamlessly. Welcome to choice, welcome to innovations, welcome to the new ASI Group. 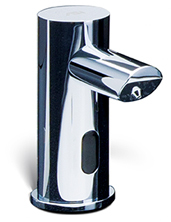 From towel dispensers to hand dryers and much more ASI Group offers the largest collection of hand dryers, paper towel dispensers and washroom accessories in the industry.